Ada Derana ‘Sri Lankan of the Year 2018’, felicitating outstanding individuals and groups of the island nation, will be held for the third consecutive year. 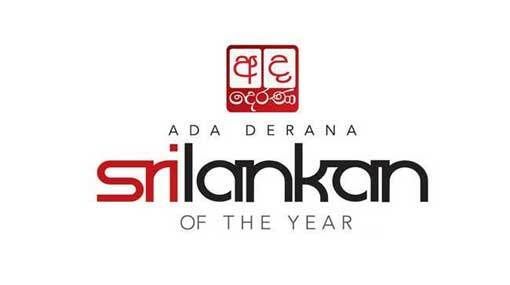 Ada Derana ‘Sri Lankan of the Year’ is an award that seeks to honor and celebrate individuals and groups whose efforts and achievements have far reaching influence on the country, positively impacting the local community and helping to profile Sri Lanka among the international community. It is designed as an exhaustive, rigorous and credible platform to nominate and select Sri Lankans whose dedication and commitment in their chosen fields have inspired pride and patriotism. In recognizing such achievement, it is hoped that fellow Sri Lankans, especially the younger generations, will be inspired to emulate the hard work, passion, and vision of their idols. Under the program, winners will be nominated across multiple categories such as Sports, Global Entertainer, Unsung Hero, Entertainer, Global Scientist, Icon, Entrepreneur, and Global Businessman. Other awards to be presented will be a Popular Award, a Sri Lankan Heroes award, Public Servant award and a Special Award.